Our Denver landscape design firm was engaged more than a decade ago by the previous homeowner to design an outdoor space that accentuates the beauty of Colorado’s natural landscape, and the home received an award from the Associated Landscape Contractors of Colorado for its innovative landscape design. New homeowners have since moved in and wanted to update the landscape to make it their own, and partnering with Lifescape Colorado seemed like a natural choice as we completed the original design. We enhanced the existing design by removing overgrown junipers and a weathered gazebo, re-working existing stone walls and adding xeric plantings such as dogwoods and rabbitbrush to offer an all-season explosion of color. To offer warmth and a continuous flow throughout the landscape, we added ornamental grasses and evergreens. 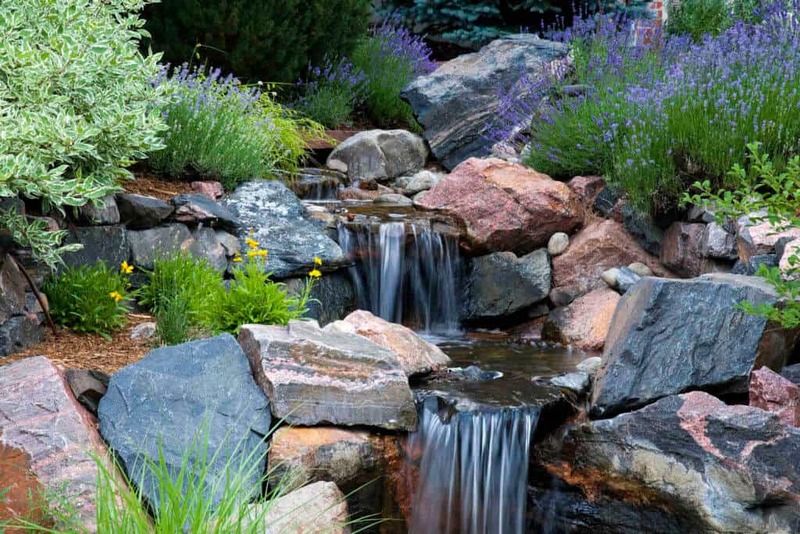 Along the side of the house is a waterfall that cascades into pockets and meanders around large granite boulders before arriving in koi pond that sits on the edge of the property. Patio seating was strategically added to the end of this stream so that the homeowners could enjoy the sounds of the cascading waterfall. 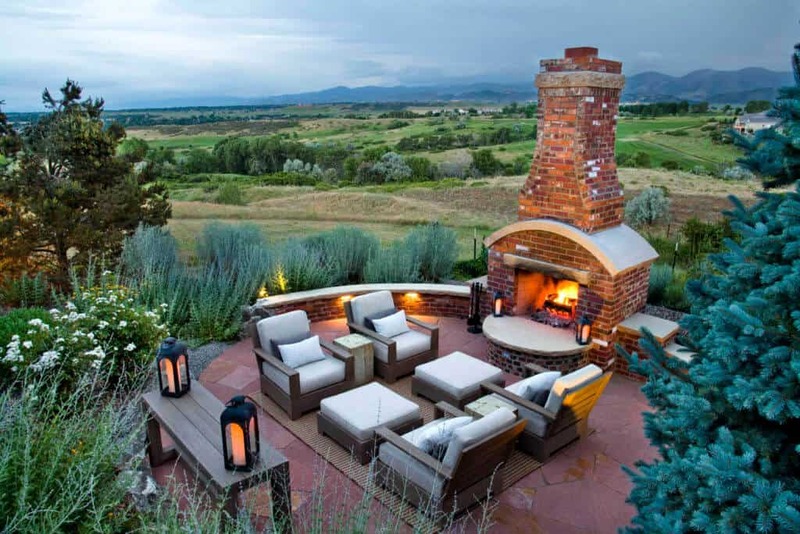 Perhaps the most impressive addition to this landscape design is the grand outdoor fireplace and seating area that compliments the natural setting and views. The dynamic backdrop of this serene and intimate setting make it the perfect year-round destination for drinks by the fire. 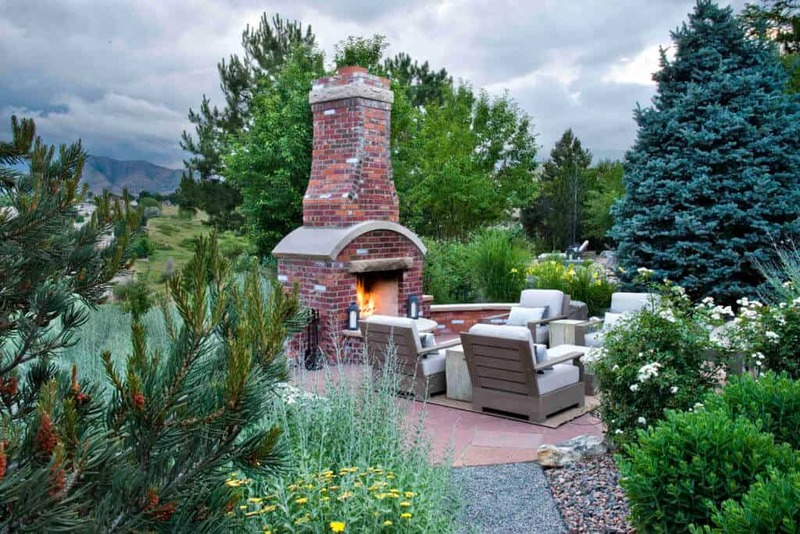 If you’re interested in learning more about this landscape design showstopper featured in Colorado Homes & Lifestyles, please contact us at Lifescape Colorado. Our team would be more than happy to speak with you about this design and discuss how we can help you to create a vibrant outdoor space of your own. Lifescape named to prestigious Colorado Companies to Watch list!